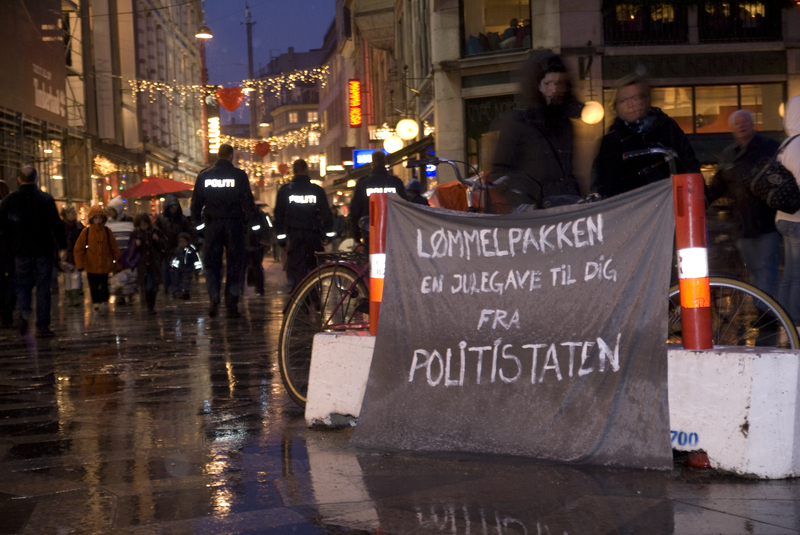 The Danish democracy agreed upon the new law called “Lømmelpakken” in order to prevent street riots during Cop15 in Copenhagen, and in order to address the ongoing “gang wars” in Copenhagen. Lømmelpakken makes it possible for the police to arrest people based on assumptions for what they might do later. As my good friend Mark Beanland writes on his blog: that is the society we see in the movie Minority Report directed by Steven Spielberg. I do understand that the agreement for pursuing with the Lømmelpakke suggestion made sense just before Cop15 kicked of. The police in Copenhagen have had their share of street riots the last years, due to the evacuation and demolition of the “Youthhouse” also known as Ungdomshuset, Jagtvej 69. Now after the Cop15 fiasco meeting, we, citizens of the democratic and highly educated country – Denmark, still have to deal with Lømmelpakken. As for now there is no attempt to review the law. I could potentially be arrested for writing this blog post as it “could” encourage people to act in a violent way. ?? Amnesty international calls it restriction of freedom of speech. The Lømmelpakke solution is backed up by 60% of the population, I am questioning why? The demonstrations during Cop15 12th december, in Copenhagen towards Bella Center showed that Lømmelpakken includes every one, not only troublemakers. Amnesty international is of that opinion, that the danish government has to justify every single arrestment. I am too of that opinion! Read Amnesty´s article in danish here. As one of the slogans against the Lømmelpakke is: Our rights are more important than 3 windows in Børsen! All these thoughts and opinions are why I went with my good friend Carl Johannes Borris on the streets of copenhagen. 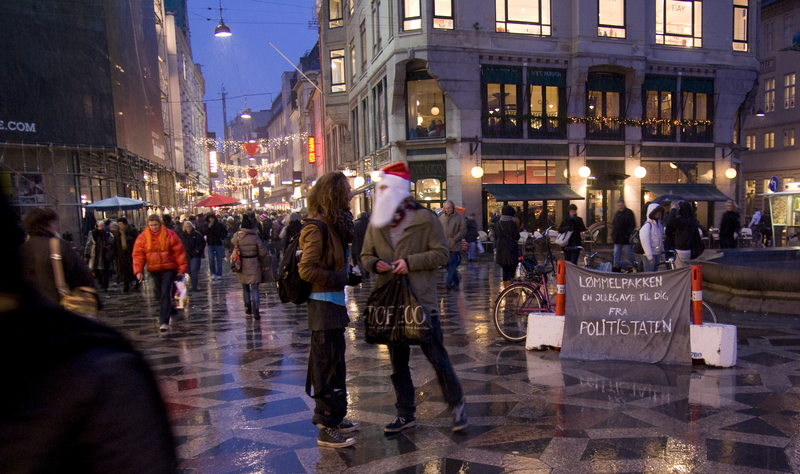 We wanted to give the danish citizens a Lømmelpakke for Christmas that they could bring with them home. We made around 300 Lømmelpakker that we started to hand out for free, of course. The Lømmelpakke was a little candlelight and a note stating that you should light the candle for your inner Lømmel. Fact is that we are all “Lømler” and that is not acknowledged anymore. 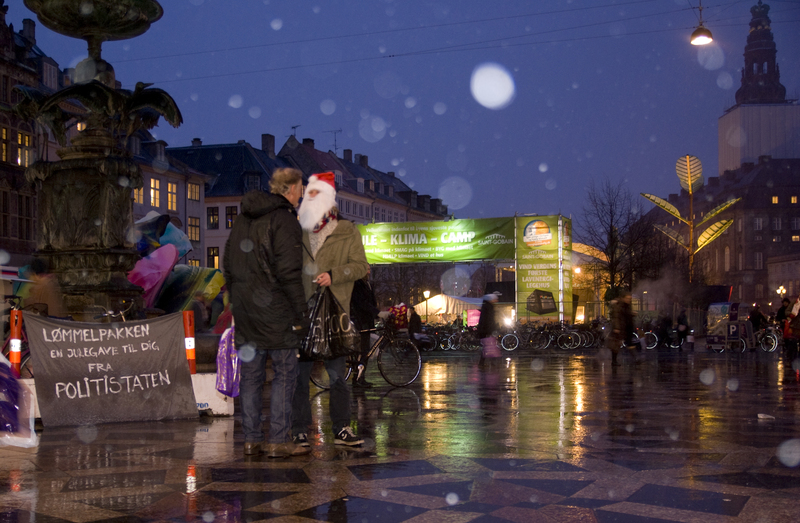 By handling out 300 small presents and getting into a conversation with people about Lømmelpakken I became aware of the fact that a heavy number of people are not aware of the existence of Lømmelpakken. I didn´t meet many of the 60% of the population saying yes to lømmelpakken. Maybe they were afraid of stating their opinion in public? I am blogging about this, hoping to start some sort of open dialogue around the subject. This is too important and can not just pass by! To read more about handling out Lømmelpakker, check out Mark´s blog post in Danish —> here. Here are some photos of our little act.